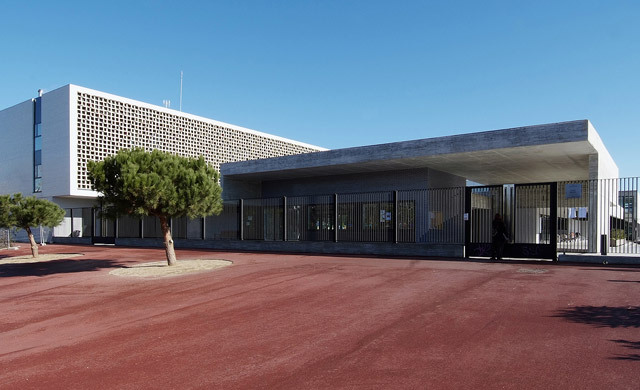 Martinet School (www.escolamartinet.cat) is a state school located in a new area of Cornellà de LLobregat, Barcelona. The school was created in 2008 following a rise in demography due to both for an increase in births and immigration movements in the area. Cornella de Llobregat is a city set in the Metropolitan area of Barcelona where more than 85,000 people live. Next September the school will be complete offering schooling from 3 years old to Primary 6 (12 years old), with around 400 students and 26 members of staff. Our students come from different backgrounds and nationalities. Social situation has been changing in the past years due to the deep recession our country, and specially our area, is undergoing. In general our families belong to a medium social level with medium cultural level, but some of them, everyday more, are suffering the crisis and social cuts effects. Everyday we have more cases of families who are strugglering to pay monthly expenses and providing their children with basic elements. Our school welcomes and is open to everybody (families, students, teachers and other professionals) regardless their religion, nationality, ideology, background, etc. We like feeling being at Martinet school like being in a big family where we care about each other. Our main goals as professionals is to provide our students with the required tools in order they can apply their capacities and build their knowledge by their own. That is to say that we want them to become aware of what, how and why they are doing the tasks they are asked for by following our guidelines. For us it is very important group work, cooperation and solidarity. To increase our social and emotional competence gaining ability to understand, manage and express the social and emotional aspects of one’s life so we all would be able to manage successfully life tasks such as learning, forming relationships, solving everyday problems and adapting to the complex demands of growth and development. That would include self-awareness, control of impulsivity, working cooperatively and caring about oneself and others. To highlight the importance of Nutrition and Physical Education in order to keep a balanced body. To include all the community in this project: students, school staff, family and local community. To work together with other schools in Europe, focusing on the importance of partnership, respect and learning other cultures and languages.